Facebook Rolls Out Ability to Broadcast Live From Desktop: Facebook shared several new tools and improvements that “give publishers more control, customization, and flexibility over their broadcasts.” These updates include the ability to go live on a Facebook page through a web browser from a desktop, video metrics for public videos for profiles with 5,000 or more followers, comment pinning, and more. 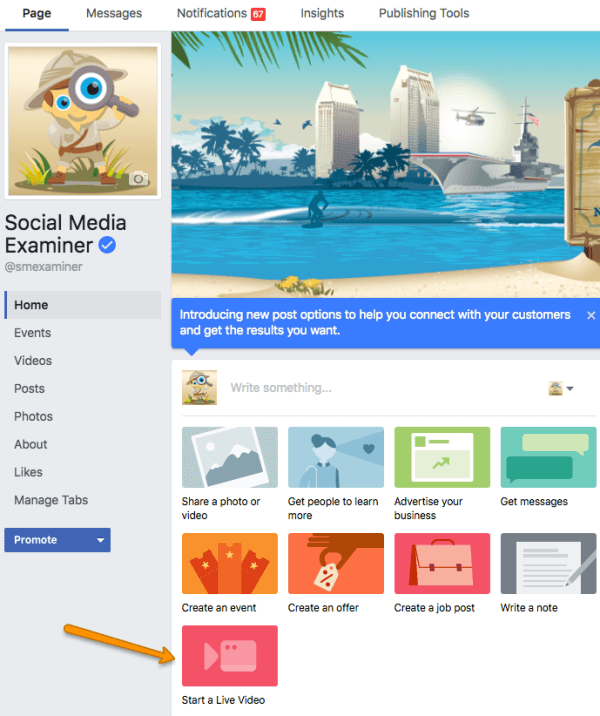 Social Media Examiner notes that the ability to go live from a desktop is currently limited to the Chrome browser and extends to Facebook groups as well. Facebook rolls out ability to broadcast live on a page or group from the desktop. Page admins can go live by clicking the Start a Live Video button in the new post options on their page. Facebook also introduced a new Live Contributor role in pages, which allows admins to “designate specific individuals to go live on behalf of a Page” and “gives contributors the flexibility to stream great live content from a mobile device… whenever it happens.” This functionality eliminates the need to grant broadcasters admin access before they can go live on your Facebook page, which maintains “security and control” over your page. 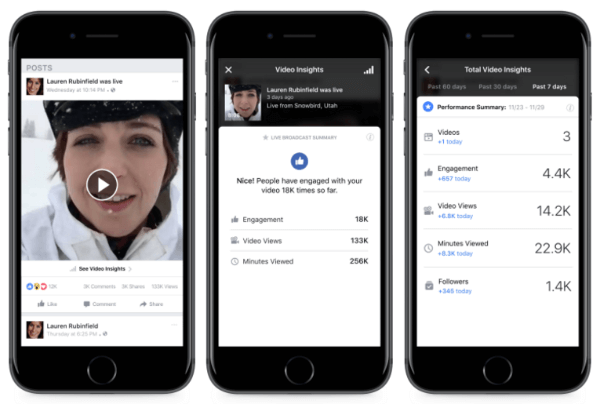 Facebook shared several new tools and improvements that give publishers more control, customization, and flexibility over their Facebook Live broadcasts. Instagram also announced that “in the coming weeks,” Instagram Business Tools will include analytics such as reach, impressions, replies, and exits for individual stories. In addition, businesses will soon be able “to run immersive, full-screen ads in stories,” which will utilize Instagram’s targeting, reach, and measurement capabilities. Instagram is currently testing the new story ads with a limited number of global brands including Airbnb and ASOS. Twitter Shuts Down Twitter Dashboard App: Twitter will shut down its business app, Twitter Dashboard, effective February 3, 2017. Twitter stated in a tweet that it “hope[s] to bring the best features from Dashboard to the broader Twitter community” in the future. Twitter launched this tool for the web and mobile last June. It was “designed to help businesses connect with their customers and community” and claimed to offer marketers and owners “a clear picture of what’s being said about their businesses, lets them schedule Tweets and offers insights about their Tweet performance.” All previously scheduled tweets will be posted as planned and can be monitored or updated from TweetDeck. 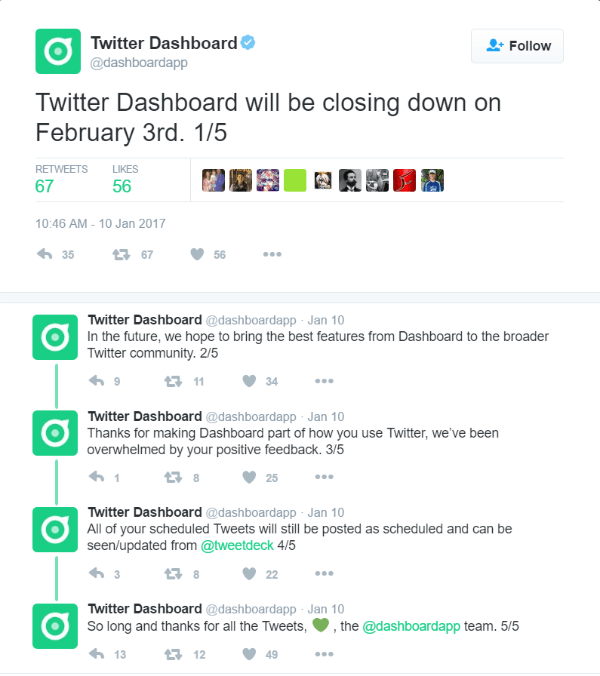 Twitter will shut down the Twitter Dashboard on February 3, 2017. Facebook Experiments With Ad Retargeting Based on Web Searches: Facebook is gradually “expanding the [dynamic ad] format to let advertisers target more Facebook users based on their web activity.” In the past, marketers could only reach customers who had “specifically looked at a product on their website or mobile app.” However, this recent update allows advertisers to target a broader audience beyond those who have already engaged with their website or app. Ecommerce brands and retailers will be able to “hone in on folks who may be interested in a product but have not necessarily looked at it online” or have browsed multiple websites looking for an item. In this week’s show from Friday, January 13, 2017, Michael Stelzner and guests discuss the top news in social media. Topics include Facebook Live from the desktop (2:55), updates coming to Instagram Business Tools and video ads (18:40), and the shutdown of Twitter Dashboard app (30:00). Subscribe to future shows here. Snapchat Launches Universal Search Bar and Our Story Submissions: Snapchat is making it “easier to find friends, groups, Discover publishers and Our Stories” with a universal search bar that’s always accessible at the top of every screen of the app, including the camera. This new improved interface is “designed for speed” and helps “dig the best content and conversations out of Snapchat.” TechCrunch reports that this new feature is currently only available to “some people on Android” and will be rolling out “soon” to all iOS and all other Android devices. TechCrunch also reports that Snapchat now allows “people anywhere at any time” to submit their snaps to the Our Story feature. Snapchat’s Our Story was built “so that Snapchatters who are at the same event location can contribute Snaps to the same Story” and the slideshows were initially highly curated and themed based on pre-selected holidays, events, or locations. With this update, users from anywhere in the world can submit their snaps to be featured and Snapchat will be able to create Our Stories based on submission trends. 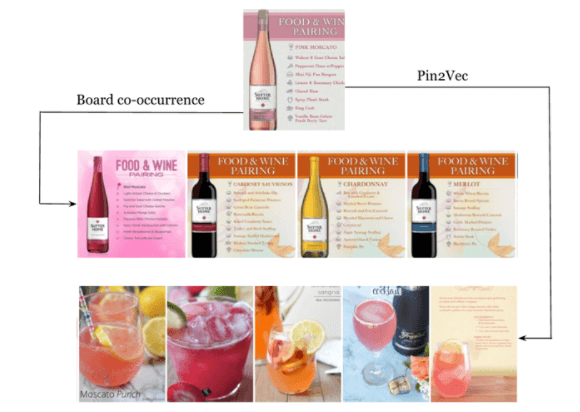 Pinterest Applies Deep Learning to Related Pins: Pinterest is now “applying deep learning to make Related Pins even more relevant” and shares that in testing, this technique increased engagement with related pins by 5%. Pinterest reports that related pins are “one of the most popular ways people find ideas on Pinterest.” The Pinterest Engineering blog details how deep learning allows it to provide more accurate and relevant recommendations based on the “context of a Pin,” rather than just the signals from all of the boards to which it’s saved. Pinterest is now “applying deep learning to make Related Pins even more relevant” based on the context of a pin, rather than just the signals from all of the boards to which it’s saved. Facebook Introduces the Facebook Journalism Project: Facebook announced a new program “to establish stronger ties” between Facebook and the news industry. Facebook will collaborate with news organizations “to develop products, learning from journalists about ways we can be a better partner, and working with publishers and educators on how [we] can equip people with the knowledge they need to be informed readers in the digital age.” As part of this project, Facebook will continue to create new storytelling formats, explore emerging business models, and focus on new training and tools for its publishers. 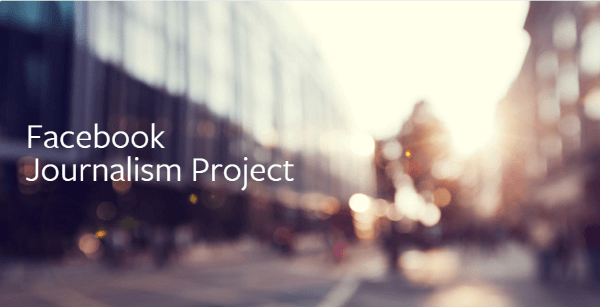 The Facebook Journalism Project page will serve as “a hub for [its] efforts to promote and support journalism on Facebook” and is where it will continue to update the public on these initiatives. 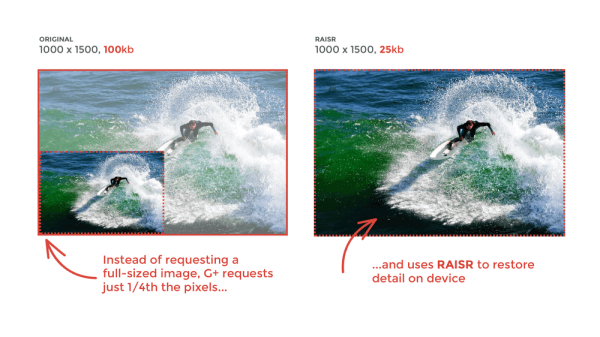 Google is implementing machine learning and new RAISR technology to produce great quality versions of low-resolution images at 75% of the bandwidth. Facebook Audience Network Reaches Over 1 Billion People: Facebook announced that now “over one billion people see an ad through Audience Network every month” and it has recently added nine new global publisher partners to the network. According to Facebook, extending advertising campaigns to the Audience Network can lead to “a more efficient overall campaign” and these advertisers have seen “a 12% increase in conversions for website campaigns and a 17% increase in installs for mobile app campaigns” on average. Google Rolls Out Accelerated Mobile Pages Lite: VentureBeat reports that Google released a new Accelerated Mobile Pages (AMP) Lite page format, which “includes compressed images and image data, among other things so that articles and other websites will load even more quickly and take up less data than standard AMPs.” This tinier format is designed to accommodate users with low-RAM devices and slow networks in countries like Vietnam, Malaysia, and others. LinkedIn Removes App From Apple and Google Play Stores in Russia: The New York Times reports that Apple and Google have agreed to remove the LinkedIn app from the iOS and Android app stores in Russia due to “local laws that require internet firms to store data on Russian citizens within the nation’s borders.” This move will affect the “several million” LinkedIn users in Russia and comes after a prior attempt by the government to block the LinkedIn site. Tailwind Launches New Instagram Marketing Tool: Tailwind released Tailwind for Instagram, a new marketing toolkit that helps marketers “improve engagement with their content on the popular visual social network.” Tailwind for Instagram is available for both mobile and desktop. Marketers can sign up for a free trial of Tailwind for Instagram on the Tailwind site. YouTube Showcases Up-and-Coming Creators and Artists: YouTube is highlighting creators and artists who are “on the rise” in a new section of their Trending tab. Each week, two creators and two artists will be featured for a full day with a “Creator on the Rise” or an “Artist on the Rise” badge as a way to increase their exposure and help build a bigger audience. The opportunity to be featured is currently only available to creators or artists in the U.S. with more than 1,000 subscribers. YouTube states that their selections are based on views, watch times, and subscriber growth. 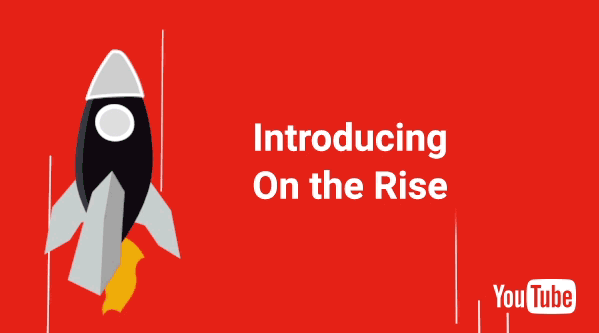 YouTube has begun to highlight creators and artists who are “on the rise” in a new section of the Trending tab. YouTube Rolls Out Super Chat Feature: YouTube introduced Super Chat, its “latest tool for fans and creators to connect with one another during live streams.” This new feature allows viewers to purchase a highlighted message in the chat stream that “stands out from the crowd to get even more of your favorite creator’s attention” and remains pinned to the top of chat for up to 5 hours. Super Chats provide a new revenue stream for YouTube creators, while offering a “meaningful and lively” way to maintain conversations and connections with super fans. The new Super Chat feature is currently being beta tested with a few select creators. However, YouTube plans to launch it for creators in 20 countries and viewers in more than 40 countries on January 31. 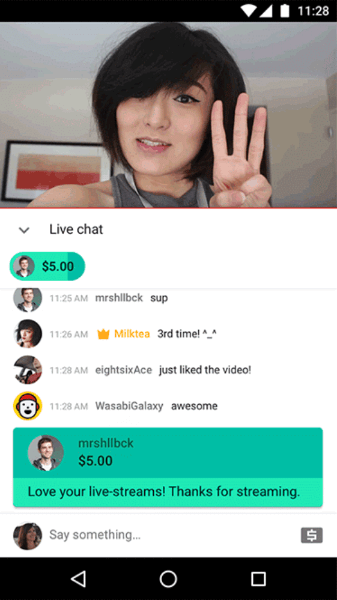 YouTube introduced Super Chat, its latest tool for fans and creators to connect with one another during live streams. 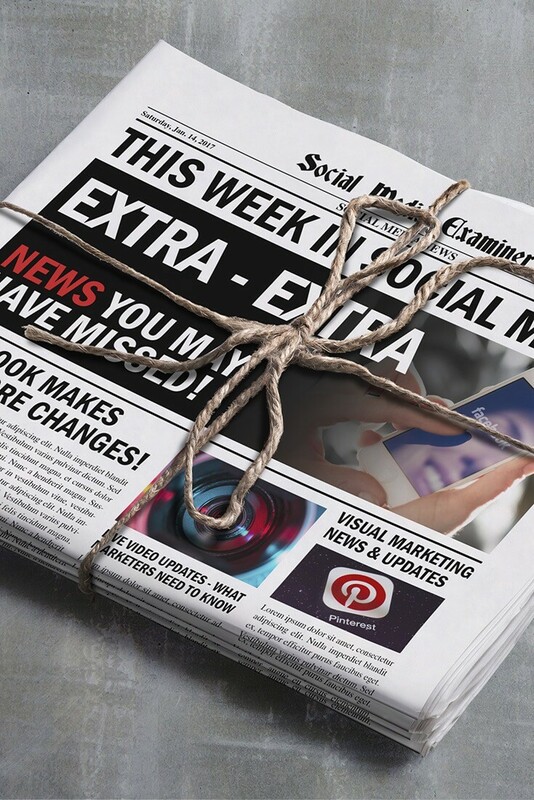 Facebook Instant Articles Tests Multiple Stories in a Single Post: In a move that promises to “improve the experience for people and publishers alike,” Facebook announced that it “will begin to test a way for publishers to combine multiple Instant Articles into one post.” Facebook reports that it’s still in the “very early stages of developing this feature” and is currently testing it with a select group of publishers. Facebook plans to further expand it to more publishers in the future. 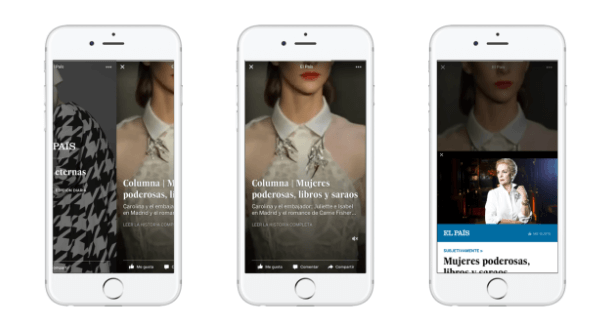 Facebook tests multiple instant articles in a single post. Snapchat Tests Deep-linking and Web Auto-fill for Ads: Snapchat is testing two new features for Snap ads, deep-linking and web auto-fill. Adweek reports that deep-linking enables Snapchat users to swipe up on an ad appearing between stories and tap a link that will bring them to a specific place within another application like a playlist or a product page. The web auto-fill feature will allow users to quickly complete lead gen and opt-in forms using their personal information already contained within Snapchat with just one tap. Snapchat has limited the availability of these two new features to an undisclosed group of brands. Facebook Experiments With Mid-Roll Video Ads: Facebook is testing a new mid-roll ad format that will allow publishers to insert ads into Facebook videos. Recode reports that the ads will only appear “once a viewer has watched a clip for at least 20 seconds” and in videos that “run for at least 90 seconds.” Facebook has not confirmed any details about this new feature. The State of Social Advertising Q4 2016: The latest social media advertising report from 4C Insights reveals that spending on social advertising is on the rise. Using aggregated data from over $150 million in media spending for more than 900 brands managed through the 4C Social Ads product on Facebook, Instagram, Twitter, LinkedIn, and Pinterest, the report shows an overall 43% quarter-over-quarter increase and a 65% year-over-year gain in paid media spend. The greatest increase was on Instagram with a 138% year-over-year increase in advertising spending. The report also provides emerging trends and best practices from 4C’s leading clients. Seeing Is Believing: YuMe, a brand video advertising software and audience data company, released a new study on consumer attitudes toward immersive ad formats such as mobile virtual reality (VR), augmented reality (AR), and 360-degree video. The findings reveal that as individuals engage more with immersive technologies, they’re more likely to respond favorably to and pay more attention to immersive advertising. For instance, 60% of consumers who’ve tried VR believe it creates a positive view of brands and over half of consumers who’ve tried 360-degree video report they would be more likely to engage with an ad in this format. Unilever Sustainability Study: A new global consumer study from Unilever provides insights on consumer interest in and commitment to sustainable products. The study reveals that a large percentage (33%) of consumers worldwide actively seek sustainable goods and are looking to support companies that use sustainable practices. Over one in five (21%) of those surveyed say they would actively choose brands “if they made their sustainability credentials clearer on their packaging and in their marketing” and 53% of shoppers in the UK and 78% in the U.S. say “they feel better when they buy products that are sustainably produced.” This number increases to 88% in India and 85% in both Brazil and Turkey. What do you think of the new analytics and ads coming to Instagram Stories? Have you tried broadcasting on Facebook Live from your page or group? Please share your comments below. Facebook Live From the Desktop and other social media news for Jan. 14, 2017.